I love Japan. If you know anything about me, you probably know that. For years, I have wanted to go to the Land of the Rising Sun even if only for a visit. But while I am waiting for the opportune moment, the okay from God, and the amassing of enough funds, I can only read, watch, and listen to Japanese and accounts on Japan–absorbing information and gleaning experiences from others. In a sense, we who can’t yet go to Japan live vicariously through those who do, who share their lives graciously with us on Youtube or through writing, and these people inspire us daily to strive for our goals to go to Japan, among others, because if they can do it, then we can too. One of these people I found at the beginning of this year is Grace Buchele Mineta, a Youtuber and blogger who hails from Texas and lives in Japan with her husband, Ryosuke. I really appreciate how real she is. 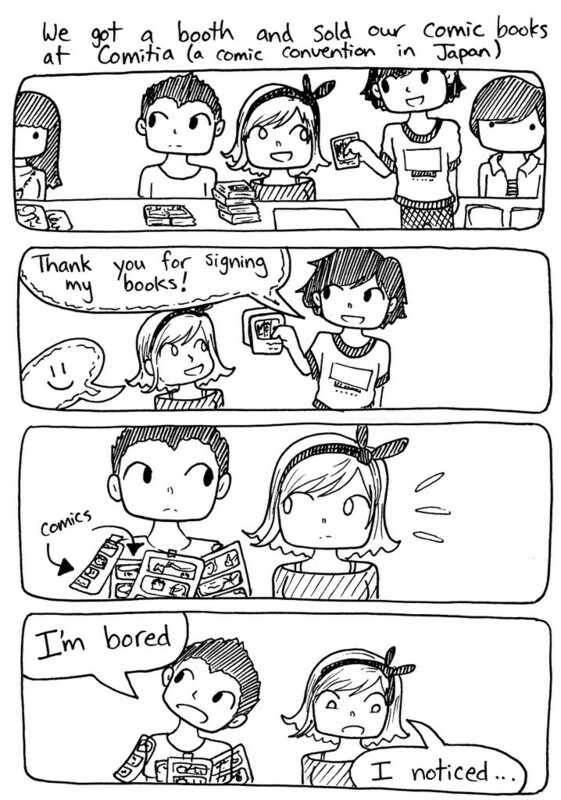 She and Ryosuke are just so refreshing (and funny!) to watch, and what they share is always interesting! 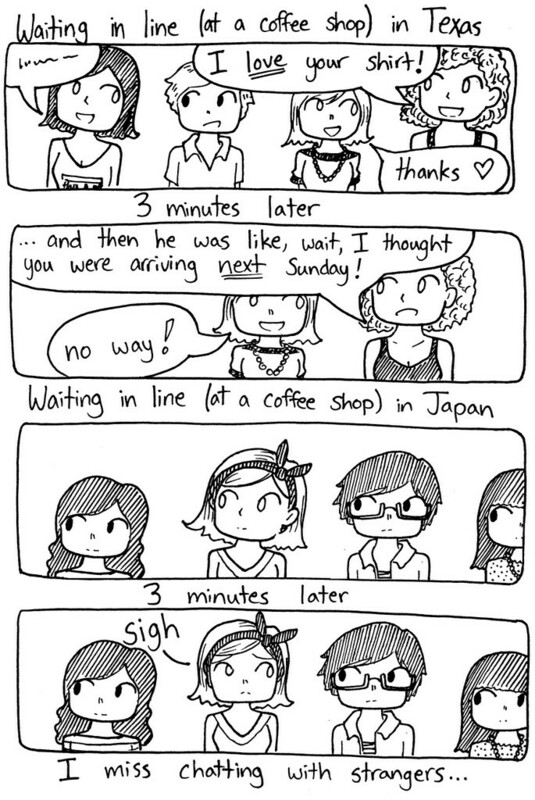 Grace is always drawing tons of comics about their life in Japan, many of which are uploaded to her blog. Along with those, she has fit even more into three original books: My Japanese Husband Thinks I’m Crazy, My Japanese Husband (STILL) Thinks I’m Crazy, and the newly-released Confessions of a Texan in Tokyo. I can already save you the trouble of reading any further by telling you YES–GO AHEAD AND BUY THIS BOOK. Buy all of them, in fact, but definitely this one. 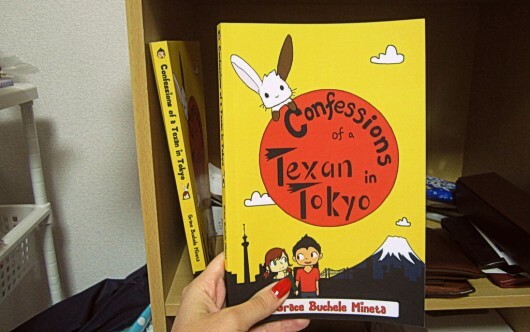 Confessions of a Texan in Tokyo is structured basically the same way Grace’s other two books are, with a “how to read this book” section at the beginning, and then plenty of comics split up into groups by pages containing helpful information about Japanese people, customs, and definitions of words. She has also included choice sections of writing from her blog, some describing the difficulties of being someone who puts their lives out for all of the Internet to see. Grace’s art style is unique, and while often not accurate in proportion or perspective, the style itself and the type of comics she draws allows for this with no issues. This, in and of itself, is amazing to me. XD The characters qualify in the SD (super-deformed) or “chibi” category, and are drawn in a free, fluid type of line art that is cute and easy on the eyes. I think it’s easy for a lot of us to relate to Grace’s books (and videos, for that matter). For us foreigners, especially those who are from the United States, they give us glimpses into what real life might be like for us in Japan, and perhaps can help us prepare to deal with any similar situations we may face when going there. For those of us who have been to Japan or are living there now, or for those who also create things, they help us laugh away the irritation or stress that we too face as we mutter to ourselves, “Yes, I know exactly what she means.” I can sympathize with some of her troubles as a fellow artist as well as things we both happen to find weird or funny about Japan, so I find both value and humor in her books. All images in this post belong to Grace Mineta and are used solely for the purpose of this review.